Open the door to convenience by allowing the skilled technicians at Katy Overhead Doors to install new garage door openers in Katy, TX. Our goal is provide you with convenient, safe, and trouble-free access to your garage. If you have a broken opener, or you don't have one at all, then you'll have to open your garage door manually. Don't get out of your car to raise your garage door when you can do it with the touch of a button. Garage door openers come in all styles with different functions. Choose the right one based on your needs, budget, and preferences. From very quiet openers and heavy-lifting openers to ones with motion detection lighting, our garage door company installs and repairs all types. Allow our friendly and experienced technicians to help you choose an opener that's right for you. Nothing happens when you push the button. Is it a problem with the battery in the remote control or is it your garage door opener? You could spend hours tampering with your opener and reading up on garage door opener repair, but why waste your valuable time? We offer fast and affordable services. Most importantly, we are able to accurately determine the problem and perform a reliable repair. So, if your opener is not operating correctly or at all, contact our company. We repair all makes and models—from the wiring to other internal and external mechanisms. You don't have to settle for an opener that doesn't open. Instead, let us get everything moving again. How old is your garage door opener? Depending on its age, you could leave yourself open to security and safety issues. In fact, since 1993, garage door openers have been required to have a safety reversing mechanisms. In addition, new openers have a "rolling code" feature that changes the code each time you use it. Also, older openers are not as quiet as new models. If your current unit uses a chain to open the door, consider replacing it. By providing garage opener replacement, we install a model that is quiet, safe, and secure. For an estimate on our products and services, schedule a consultation today. Make access to your garage more convenient and secure when we install a new garage door opener. The products we install are dependable, built to last, and advanced. You won't wake everyone in the family when you enter your garage either. These units are quiet and provide the power you need to lift garage doors of all weights. 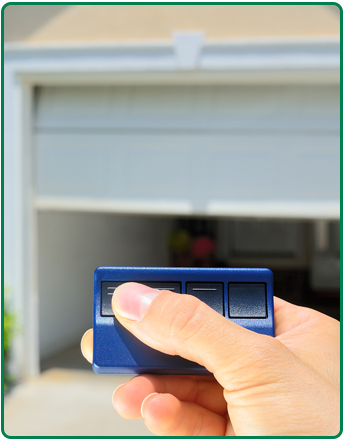 Contact us for garage door opener replacement services when you want a quieter and more powerful opener. We proudly serve residential and commercial customers in Katy, The Woodlands, Sugar Land, and Columbus, Texas, as well as in and around the surrounding areas.